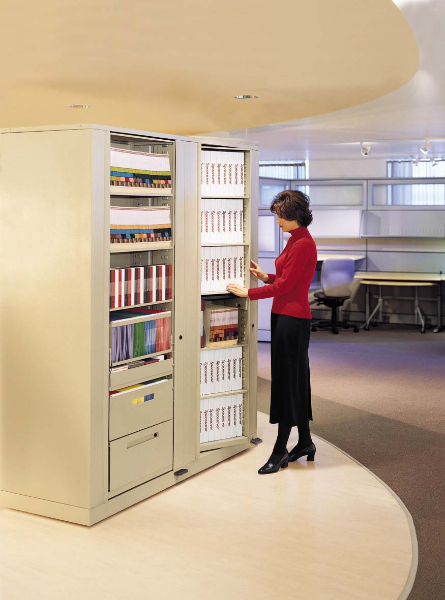 Spacesaver® Rotary File Cabinets and RotaryStor High Capacity Storage Units give you flexible and space saving multi-media storage while maintaining a professional and aesthetically pleasing appearance. 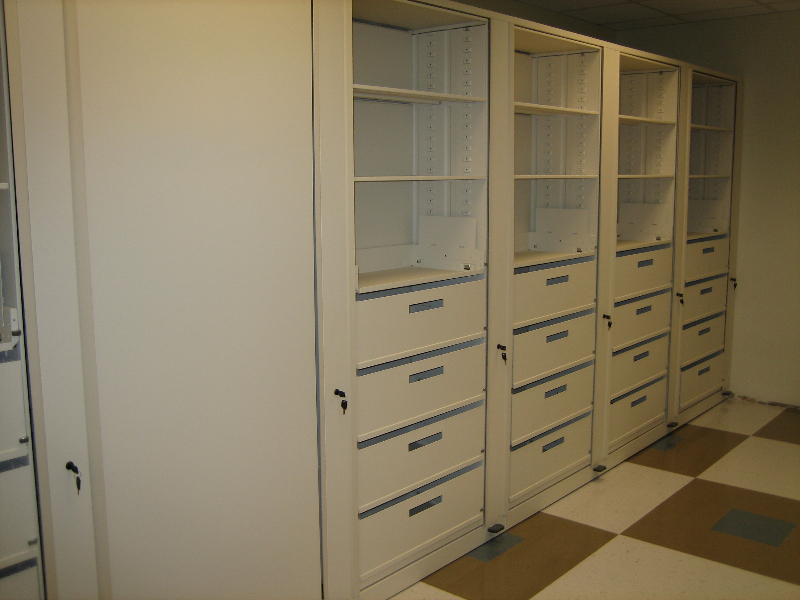 Rotary File Cabinets and High Capacity Storage Units are a great alternative to lateral and vertical filing cabinets because they have the same or greater storage capacity, but take up significantly less floor space. 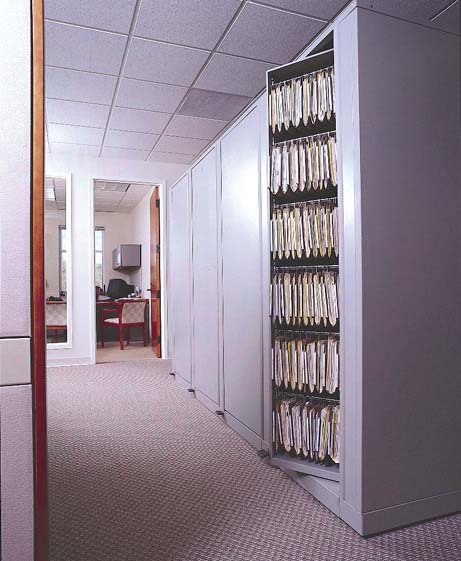 Rotary File Cabinets and High Capacity Storage Units revolve or spin around, which gives you access to two banks of back to back storage compartments. 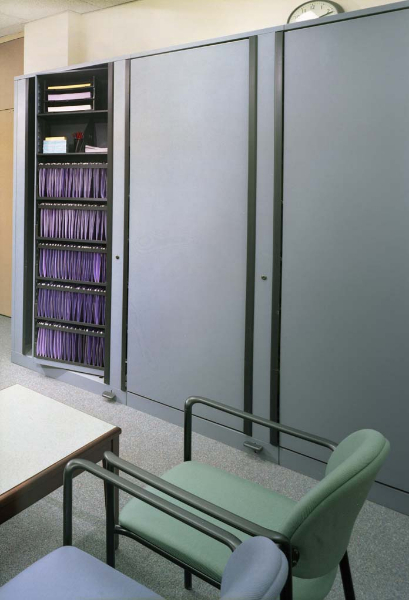 To rotate the file cabinets or storage units, you just depress the foot pedal and gently push and they will automatically stop in the next position. For ADA accessibility, simply lock the foot pedal in the freespin position. 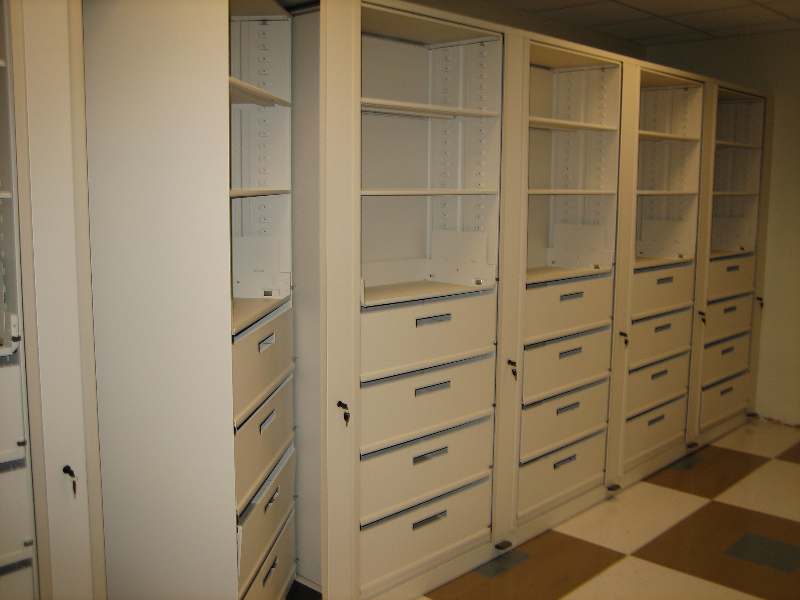 When the cabinets or units are not being used, you can lock them in the closed position to present a clean and uncluttered appearance. 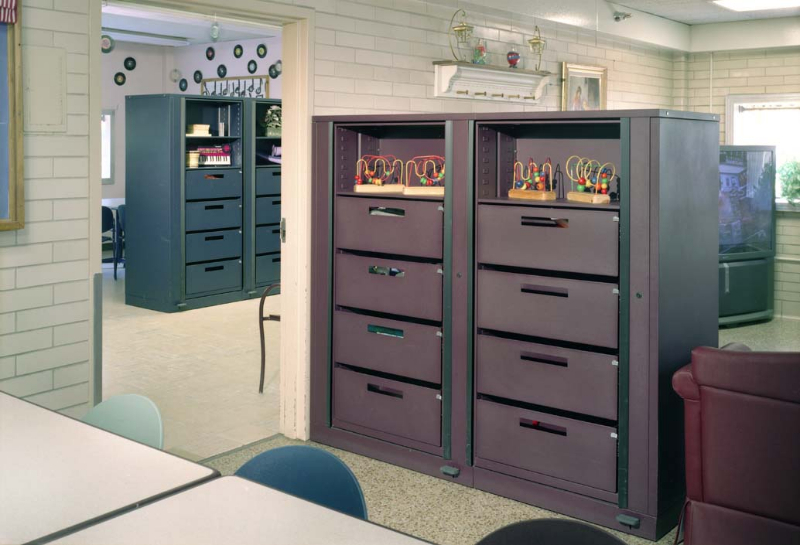 Spacesaver Rotary File Cabinets and RotaryStor High Capacity Storage Units will store top tab files, side tab files, forms, literature, supplies, binders, and computer media. 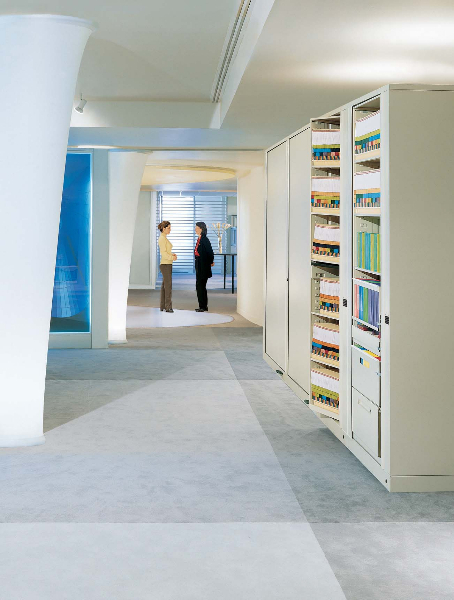 The file cabinets and storage units allow you to merge items from lateral file cabinets, open shelving, and computer media drawers into one centralized space, which makes information easy to find and moves it closer to the point of use. 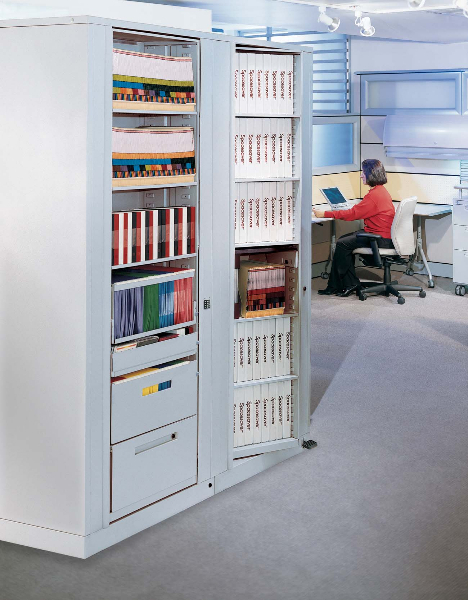 The innovative design of Spacesaver Rotary File Cabinets and RotaryStor High Capacity Storage Units increases flexibility in office design. 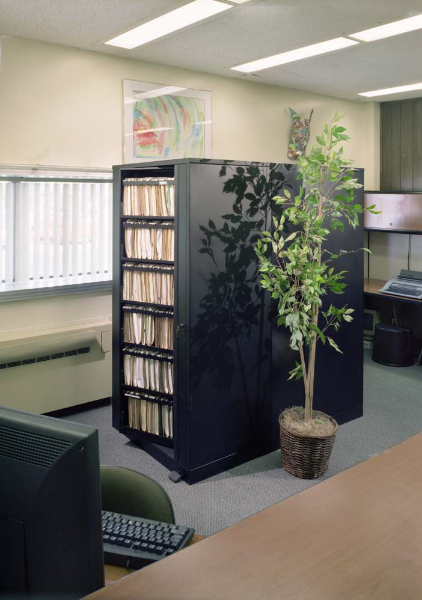 If you want to use the cabinets or units in alcoves or against walls and panels, you can select single-sided access; however, if you want to use them as room dividers, pick double-sided access. 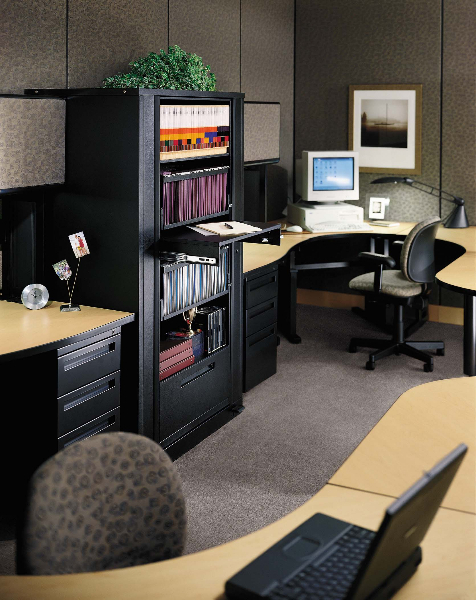 Either approach will work as a space saving way to share storage between workstations. 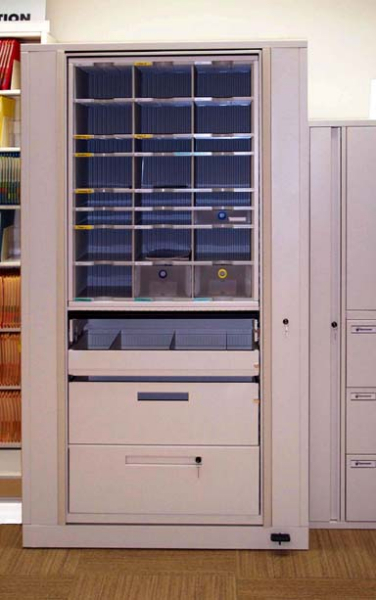 Here are some additional features available for Rotary File Cabinets and RotaryStor High Capacity Storage Units.